It’s a real delight for me to be with you again today. 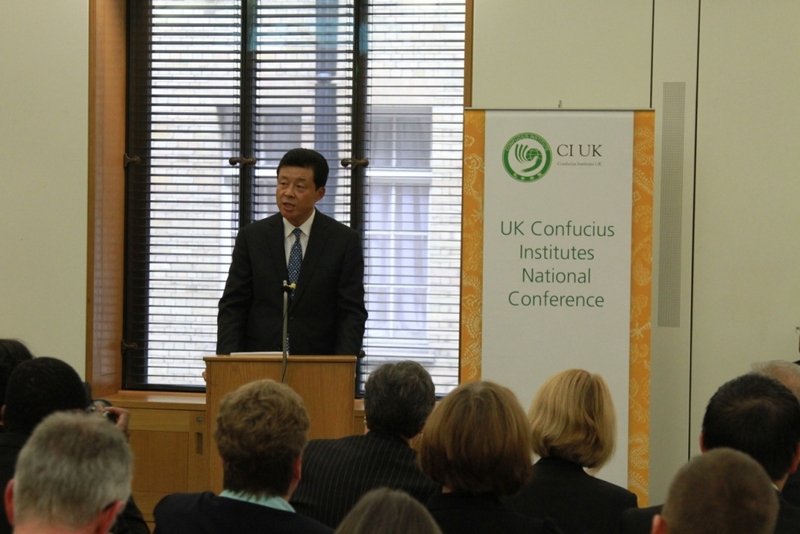 Let me first express my warm thanks to the organisers of this UK Confucius Institute National Conference. 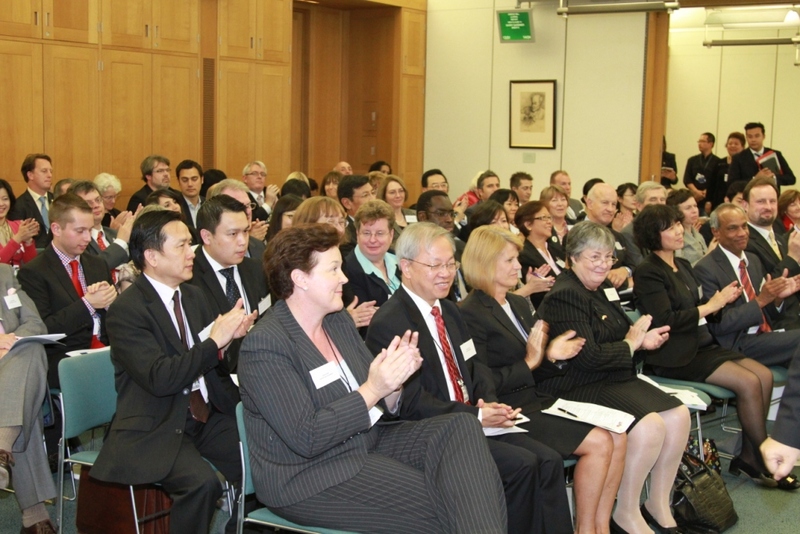 These are the All Party Parliamentary China Group and London South Bank University. It is your support that has brought the conference to such a distinguished and unique location, the British Parliament. My thanks also go to Han Ban for leading the effort for Mandarin promotion in Britain. This UK Confucius Institute National Conference embodies the important task of building deep, lasting and long term Sino-UK understanding. Creating that kind of understanding will be won in schools and universities. So, I appreciate very much this opportunity to share my thoughts with university and school leaders. It is they who have done so much to promote Mandarin teaching here in Britain. In my 18 months in the UK, I have attended many cultural activities. Among them, events related to Mandarin promotion, Confucius Institutes and Confucius Classrooms have always been a priority for me. Whenever my schedule allows, I will always turn up and take part! In fact, the first event I attended as Chinese Ambassador to the UK was the UK preliminary for the ‘Ninth Chinese Bridge Competition.’ As you may know, this is a highly successful global contest organised by Han Ban. Then last September, I spoke at the Second Joint Conference of European Confucius Institutes. Shortly afterwards, I unveiled the Confucius Classroom at the St Mary’s Primary School. When Vice Premier Li Keqiang was here on an official visit this past January, I was with him at an exchange with British students learning Mandarin. Two months later, I joined His Royal Highness the Prince of Wales at the official unveiling of the Confucius Classroom at Llandovery College in Wales. In two days time I will be giving a reception at our Embassy for the UK contestants in the ‘Chinese Bridge Competitions’. They will be joined by their teachers and families. That will be another occasion for us to celebrate the outstanding performances of these young British contestants. It is a proud symbol of the success in Mandarin teaching in this country. You may now be asking: Why is the Chinese Ambassador devoting so much time on Mandarin promotion in the UK? There are three reasons. Let me take each in turn. First, Mandarin is at the very core of Chinese culture and civilization. It is one of the most popular cultural products of China. So if China is to be truly understood and integrated with the world, we must promote the learning of Mandarin. I respond: “That must be English”! Let me give you some compelling statistics. Today, roughly 1 billion people are learning English worldwide. An additional 1.5 to 2 billion are speaking or exposed to English every day. In contrast, Mandarin is spoken by over 1 billion users. This means Mandarin has more native speakers than any other language. More importantly, Mandarin is part of the very ‘DNA’ of Chinese civilisation, the core building block of Chinese culture. China is the longest continuous civilisation in the world. Mandarin has been an integral part of the development of China for the past five millennia. Coming back to the language statistics, Mandarin now has more than 40 million learners across the globe. This is a key trend for the people of the world outside China to truly grasp the depth and breadth of Chinese culture and civilization. One powerful example of Mandarin’s growing popularity is the Confucius Institutes initiative. Confucius Institutes started from scratch six years ago. No one then could have imagined how far this initiative could come in so short a time. Today, global numbers are over 300. There are 360,000 registered students benefiting from its language teaching programmes. Mandarin is now well on its way to become China’s fastest-growing cultural export and means of communication. The second reason I devote some much time to this vital effort is this: Mandarin is the most effective key to understanding today’s China. As you may be aware, the development of China is moving very quickly. In China today many aspects, such as cities, can change beyond recognition in a short period of time. If one relies on British media coverage and journalists perspectives alone, he will fail to understand the larger picture of my country, or even be influenced by biased and misguided reports. This lack of reporting and analysis means it is vital to equip young British people with Mandarin skills. By being able to speak Mandarin, the youth of Britain can go and explore China themselves. They can then learn first hand the reality of my country today. Mandarin offers a path to grasp all facets of the Chinese society, from outside to inside. So understanding China truly starts from Mandarin. The Confucius Institute and Confucius Classroom couldn’t come at a better time. They have offered high-quality venues around the world for Mandarin teaching and learning. In turn they have created non-profit and excellent platforms that have earned wide recognition and respect. 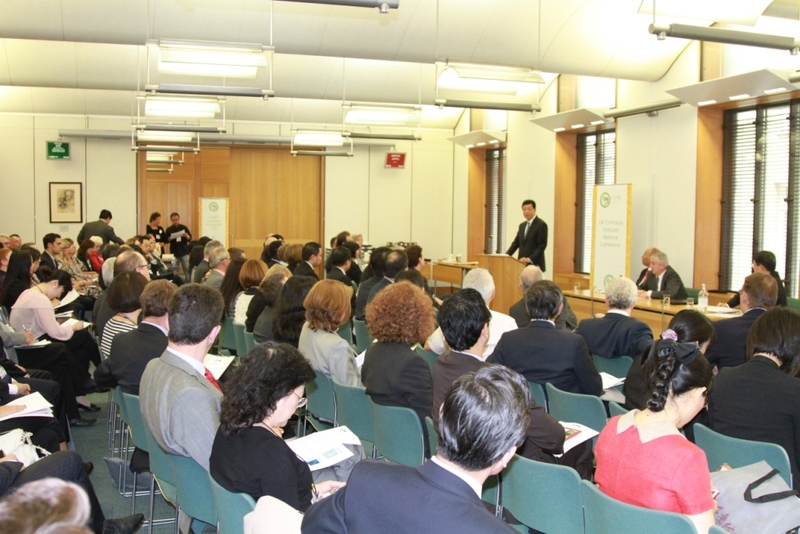 My third reason for devoting time to Mandarin learning is its role in China–UK relations. From my visits to many Confucius Institutes and Classrooms I have seen the evidence that here is the most dynamic and vibrant core of Sino-UK cultural exchange. Meeting many of the teachers and students has hugely impressed me with their enthusiasm and passion. I sense that this is providing a powerful impetus to drive the learning of Mandarin into all corners of Britain. Such eagerness to learn is shown by so many people. Business leaders, young people and even children: overall more than 100,000 Britons are learning Mandarin. What is happening now can be best described by a well known observation of Confucius. That is: “Education is for all”. At the end of July when I left Britain for consultations back home, I had noted that there were 13 Confucius Institutes and 54 Confucius Classrooms in Britain. When I returned to London last week, I was told their numbers had jumped to 17 and 57 respectively. I am delighted to note that these figures means Britain will remain in the pole position across Europe in developing Mandarin education. Today, Confucius Institutes and Confucius Classrooms now reach out across all parts of Britain. They have spread around England, Scotland, Wales and Northern Ireland. This movement is already having results. Confucius Institutes and Confucius Classrooms have educated and trained a large number of students. These pupils now speak Mandarin and as a result better understand Chinese culture and appreciate my country. Some of these students have done extraordinarily well in the global ‘Chinese Bridge Competition’. In turn these contestants have now become active in boosting cultural exchanges and building understanding between our two nations. In recent years, Chinese leaders coming to Britain have made frequent visits to Confucius Institutes and met with young Mandarin learners. These visits reflect strong high level support for the further advance of Mandarin teaching. As a result the government education departments of both our countries are giving a big push to Mandarin teaching. One recent development was last year’s signing of a Sino–UK government framework cooperation agreement. The objective is to provide higher quality Mandarin education and more resources in support of such programmes. I highly appreciate the All Party Parliamentary China Group warmly supporting such teaching programs and co-hosting today’s conference. As Chinese Ambassador, I hope this rising demand for Mandarin will become an even stronger force. I will do everything I can to add to its momentum. 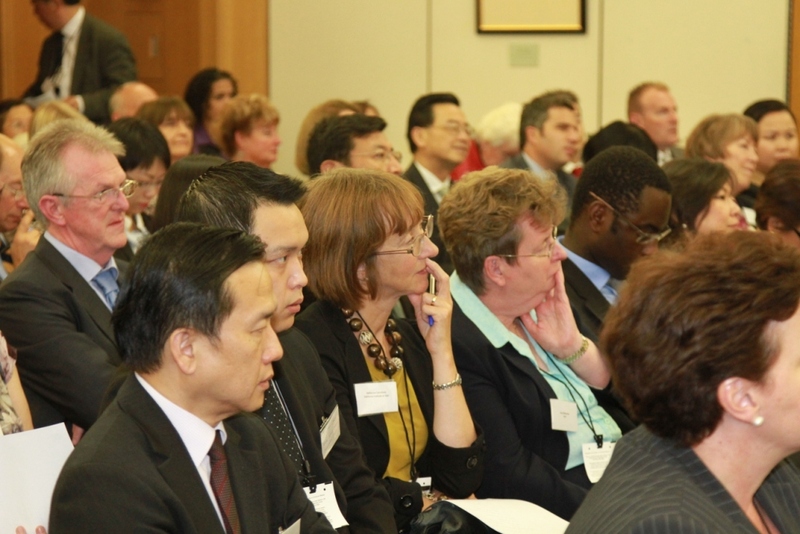 Your theme for this conference is ‘The Sustainable Development of Confucius Institutes in Britain’. I fully support the choice of this theme. It is a vital and necessary task to ensure there are solid foundations that will last for all time. Of course, we have every reason to be proud of the achievements to date. New Confucius Institutes are being created quickly. All around the world they have made a big difference to Mandarin teaching outside of China. And the plan to create a global network has been largely successful. As you explore the theme of this conference, I would encourage deep thinking and analysis. We should never stop searching for better approaches to promote the development of Confucius Institutes. More needs to be done to raise teaching standards, and promote sharing of resources and the spread of best practices. In addition, we need to put more efforts in training local teachers. Then there is the use of new techniques and methodologies to make Mandarin teaching more productive. In closing, I wish this conference a great success!